SAMO worked with Materials & Methods to produce a 360' immersive video projection canvas of NASA space images by Michael Benson. 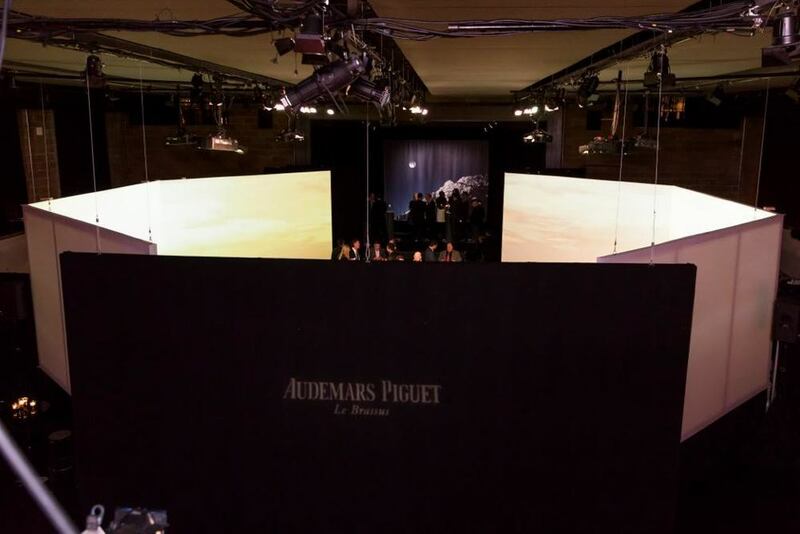 The visual environments were curated to music and food that lead up to Audemars Piguet new watch release. The original location was a school gymnasium, with the installation of the video canvas, lighting and table design, we were able to transform the dry intimate space into an immersive world in the stars.